Don’t miss the running of the Cave Creek Museum’s 10 Stamp Ore Crushing Mill! Come watch the ten 1000 lb. stamps slam down in synchronized precision, hear the pounding echo against the desert foothills, just as it did 100 years ago. The Museum’s stamp mill was carried down from its former location at the Golden Reef Mine on Continental Mountain and is the only one operating within 5 miles of its original site. Free. Happy birthday Arizona! Come learn about the 5 C’s of Arizona and how they helped our state to become what it is today! 2nd Sundays @ CCM take place every second Sunday at 2pm. Participating children will create CCM Passports that will be stamped at each event. Collect at least five stamps over the 2018-2019 season to get a special gift from CCM! Free. 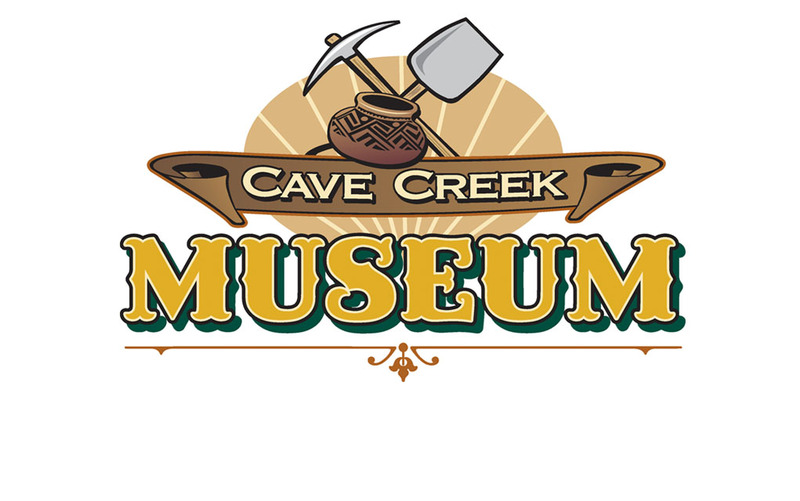 Join us at the Cave Creek Museum as Kraig Nelson discusses how William B. Hellings mine, the Golden Reef, the Overton Post Office, and the lost city of Las Vegas, Arizona are connected. Kraig will tie those connections and mystify all with this most interesting history presentation. Kraig Nelson is a nationally published writer, the co-author of Images of America, Cave Creek and Carefree. He has educated and entertained visitors to the Cave Creek Museum as a docent, lecturer and monthly newsletter columnist since 2009, serving as Historian of Record since 2016. He has given presentations at Taliesin West, and been published in “True West” and “The Peak” magazines. If you have questions about Cave Creek and Carefree or a local historical mystery to be solved, Kraig will be able to enlighten you! Free with Cave Creek Museum admission. Is Arizona really an at-risk state with a questionable future due to water supply? Join us for a discussion on the current water issues as Cave Creek Museum and Desert Foothills Land Trust host “AZ H2O” with expert Sarah Porter. Are there viable solutions? And should we ask ourselves what changes we can make in our own lives to make a difference? Sarah Porter is director of the Kyl Center for Water Policy at Arizona State University’s Morrison Institute for Public Policy. The Kyl Center promotes research, analysis, collaboration and open dialogue to build consensus in support of sound water stewardship solutions for Arizona and the West. Ms. Porter also serves as deputy director of Future H2O, a President’s office initiative to focus ASU’s water expertise on solving current world water challenges. $15 per person. Registration is recommended because space is limited. Sign up at www.dflt.org/az-h2o or call 480-488-6131. Sponsored By Carefree Water Company and Tyrol Insurance. Cave Creek Museum in collaboration with Desert Foothills Library welcome master sculptor and painter Oreland C. Joe. Joe’s world-renowned stone and bronze works are found in private, corporate and museum collections in the United State and abroad. Oreland Joe is a native of New Mexico, of Dine and Ute descent, and the first Native American to be admitted as a member of the prestigious Cowboy Artists of America. Joe is the featured artist of the 2019 Heard Museum Guild Indian Fair and Market. He will discuss the history of Native American Ledger Art and demonstrate his own representation of it. His talk will be hosted in the Jones/Coates Room (combined) of the Desert Foothills Library. Free. Learn about our area’s archaeology by exploring the Cave Creek/Spur Cross Ranch Conservation Area with hikes, speakers and activities. This is an outstanding free event for the entire family! Museum admission is: Adults $7, Seniors $5, Students $5, Children under the age of five are free.